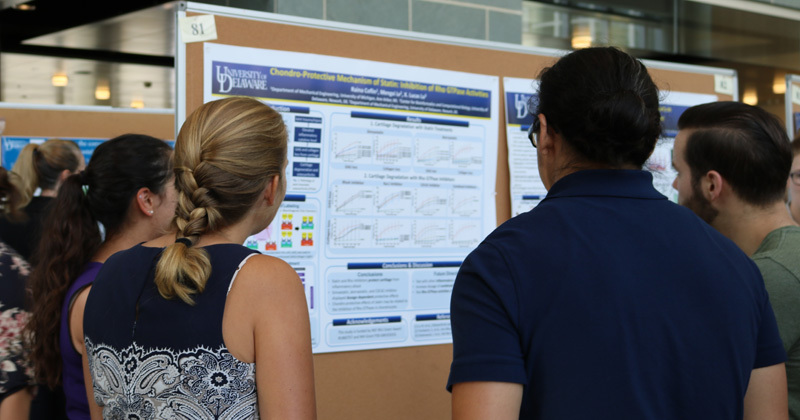 For the next three summers, UD will welcome select undergraduate students from across the country for an opportunity to apply their engineering skills to biomechanical problems. For the next three summers, CBER will host 20 undergraduate students, 10 of which will be supported under the NSF REU program. Students will spend 10 weeks doing hands-on research in a state-of-the-art biomechanical research lab. They will also participate in clinical site visits, scientific and professional development workshops, networking and communication events, a research symposium, and an annual workshop aimed at promoting interest in biomedical engineering and the REU program. Students will be recruited from minority institutions and historically black colleges and universities around the U.S. as well as other institutions with limited research resources. Admission is competitive. Last year, more than 130 applicants competed for 12 positions. This REU site will be led by Jill Higginson, a professor of mechanical engineering, and X. Lucas Lu, an associate professor of mechanical engineering, at the University of Delaware.